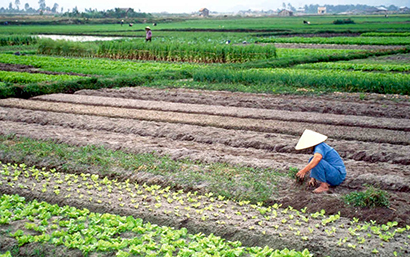 BANGKOK, October 15, 2015 — The United States Agency for International Development (USAID) today announced a new project to share affordable technology and agricultural practices between countries in Asia to increase incomes of poor farmers. USAID awarded its “Feed the Future Asia Innovative Farmers” project to implementing partner Winrock International. With funding from the U.S. Government’s global hunger and food security initiative, Feed the Future, Winrock and its partners will enhance smallholder farmer access to new technologies and management practices to boost their incomes by more efficient use of resources. The project focuses on the three Feed the Future focus countries of Bangladesh, Cambodia and Nepal as well as other initiative countries such as Burma. The Asia region is vast and diverse, with countries in a wide range of development contexts and these differences can be harnessed to benefit neighboring countries. This activity will help bring successful tools and practices in all stages of the supply chain — from productivity to marketing — to at least 26,000 of the poorest farmers in the region. The project will support farming systems that will continue to expand the reach of these new products long after the five-year project has ended. One example is safely protecting crops from pests. Pesticides can be the problem as much as the solution, due to misuse affecting farmer incomes, their health and the health of consumers. One technology that addresses that issue is a pest-exclusion net. These nets are used effectively by small farmers in some countries in the region to protect their high-value crops from pest damage while also reducing the need for potentially expensive and harmful pesticides. This technology can be brought to new areas, tested and expanded to increase overall benefits to farmers.